The band formed in San Antonio TX in 1985 and this demo is the only official release. Xeroxed three panel covers. 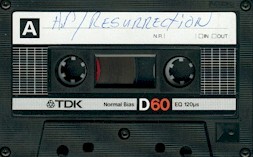 No lyrics and recorded onto regular non studio tapes.